Okay city slickers, it’s time to get your cowgirl (or boy) on. The Lodge & Spa at Brush Creek Ranch has an enticing deal that encourages guests to get out and ride. Its “Saddle Up and Ride” offer is available to book now through March 28th, and guests will receive a $500 per person travel credit to make getting to the Ranch, whether by plane, train or automobile, easier than ever. In addition to horseback riding, the resort is ideal for fly-fishing, hiking, zip lining, health and wellness and more. 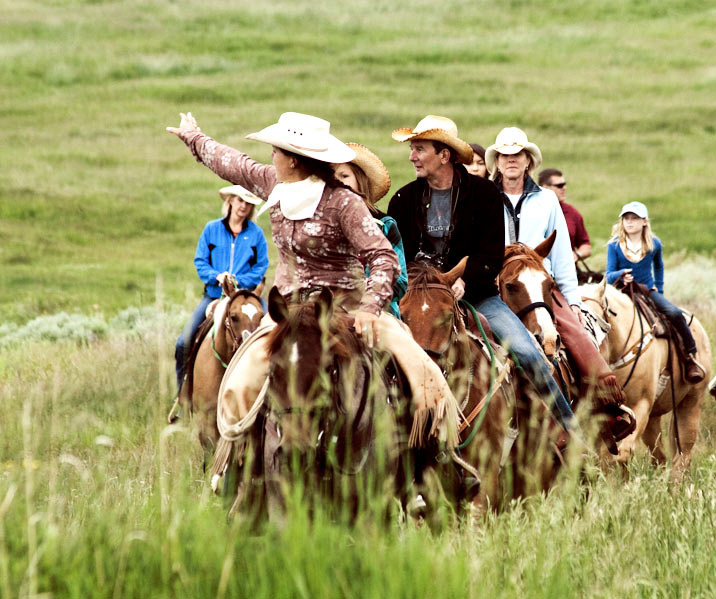 It’s family friendly and features some of the best dude ranch accommodation in the west. Inspired dining experiences such as hearty feasts, outdoor picnics and elegant dinners, each presented in a unique venue. Included with the dining experience are all daily meals and beverages, including premium beers, spirits and open access to the wine cellar. Offer is valid for a seven-night stay starting at $1,200 per unit, per night; non-commissionable; not valid with other offers or discounts. Excludes eight percent taxes and 10 percent ranch fee. To book the “Saddle Up and Ride” offer, or any other Brush Creek Ranch luxury dude ranch vacation, call (307) 327-5284 or email guestservices@brushcreekranch.com.